Psalm 23 Amplified Bible (AMP). The Lord is my Shepherd [to feed, to guide and to shield me], I shall not want. He lets me lie down in green pastures; He leads me beside the still and quiet waters. 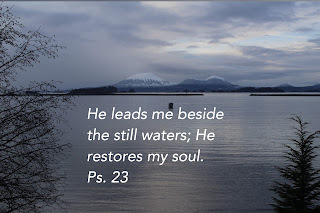 He refreshes and restores my soul (life); He leads me in the paths of righteousness for His Name's sake. 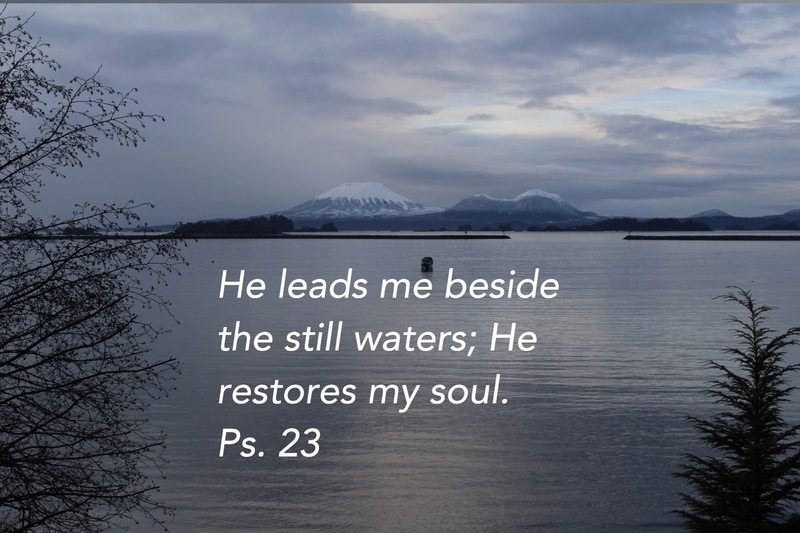 When I am led by the Lord, I find myself walking beside the still and quiet waters with the Shepherd of my soul where my soul is refreshed and restored in communion with Him. 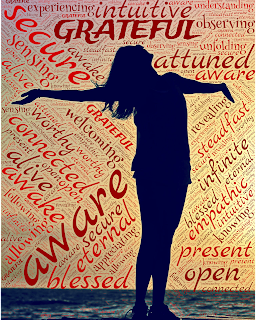 Once you allow the turbulence of stress, fear, resentment, anger, etc. to disturb the peace in your soul, you become storm-tossed and the waters of your soul can no longer reflect the divine image. When you open your heart to the Lord in adoration, the Wellspring of Life will flood your soul, an flow like living waters inside of you, refreshing, strengthening and empowering you with His glorious and peaceful Presence. In this place you can hear His voice, receiving clarity and strategy to deal with negative situations around you in the authority of His Name. You can come here often for refreshing, breathing in the refreshing of My rest in thankfulness - infused with joy, rejoicing and strengthened with My joy in the Spirit to conquer, to reign in authority in oneness with Me, seated IN ME. Enjoy this place of peace in the river of My glory provision, getting all stress removed and breathing deep into My provision of life – the heavenly breath (which is His Ruach - the sound from the Throne Room). I found that I had fresh perspective and received the Word from God to speak into my situation, waiting for Him to perform it. Lord, I just want to WAIT on You, to get tuned to Your heart. Father God, thank You for teaching me how to maintain sparkling clear, restful waters in my soul by keeping a single focus on the Lord Jesus. I ask that You help me to stay watchful and alert to not lose my peace or my joy in the Holy Ghost. Lord, let Your glory light shine on me, into my soul to expose every work of the enemy; then to banish it by Your truth! Let Your glory light also shine into every cell of my body; let the glory light frequency recalibrate my sound into fullness of JOY in the Spirit. Let my spirit, soul and body SING Your praise!